They’re crawling all over the internet and infesting the news: so-called “super lice” are threatening America’s kids… or are they? Researchers at Southern Illinois University at Edwardsville recently shared the results of a study showing that many head lice are resistant to the chemicals traditionally used to kill them. The media quickly escalated this news into a “super lice” scare. Headlines like “’Super Lice’ Outbreak Hits 25 States” (Fox News) have parents worried about an epidemic of six-legged monsters spreading across the nation. The good news is that there’s no special strain of treatment-resistant lice that is moving from state to state. There’s nothing “super” about the lice that SIUE found. They’re the same head lice that we’ve been successfully eliminating for ages. The bad news is that any sample taken in America will show that lice are developing a resistance to the chemicals typically used to destroy them. The study collected sample lice from 25 states. All of those samples showed resistance to the chemicals. Don’t worry. We’ve got this. We’ve known about the resistance for years. In fact, we’ve designed our lice removal and prevention solutions with this in mind. 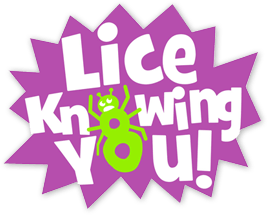 No head lice are resistant to the guaranteed removal method we offer at Lice Knowing You. We don’t rely on the chemicals used in the study. The researchers tested lice resistance to pyrethroids, the pesticides found in common removal treatments. At Lice Knowing You, we don’t use those chemicals. We’ve long known that they don’t work very well, and anyway we don’t want to put harsh poisons on your kids! Instead, we use only 100% safe and non-toxic products combined with careful manual removal of lice and their eggs (nits). The process is natural, it’s organic, and it works. Trust us. The researchers who performed the SIUE study did! They asked us to provide samples and we were happy to help. It’s an important investigation into how pesticides are becoming less and less effective. We’re glad that science is catching up with what we’ve observed in our years of experience: poisonous chemicals are not an effective way to get rid of lice. So don’t fret about “super lice.” They’re not coming to attack your children. The same old head lice are out there, being passed from kid to kid. And we’re here with our guaranteed solution. If you’d like to learn more, contact us. ← New AAP Lice Guidelines: Good or Bad Idea?